To fill out a job application, please follow the directions below. 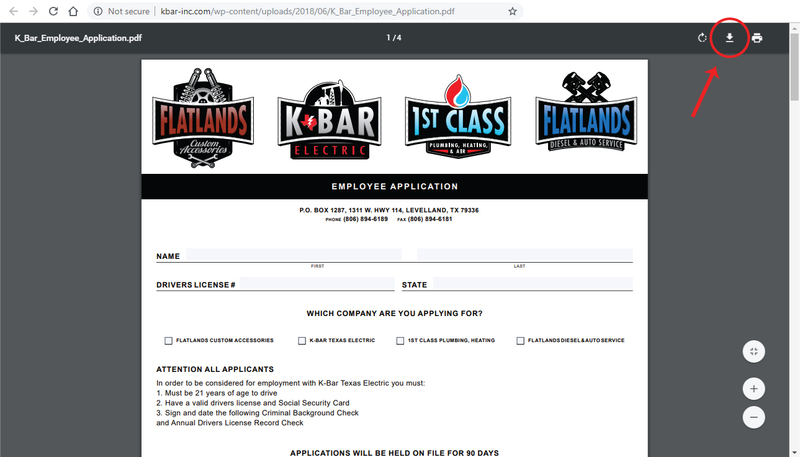 Because our application requires some sensitive information, we do not currently make it available to fill out and submit directly from our website. The form must be downloaded, completed, and either emailed or mailed to us. Fill out all the fields indicated. Once completed, save the form to your computer or device. On a desktop, the option will likely be at the top right hand corner of the black area in the form. See example here. Print out the form through either a) using the Print icon at the top left of the form in the black area, b) the File menu on your browser, or c) on your keyboard, hit "Ctrl + P" ("Cmd + P" on Mac).